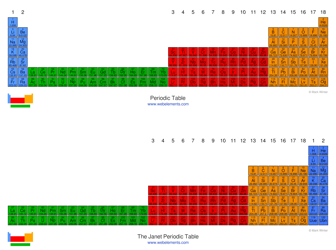 There is no one single or best structure for the periodic table. 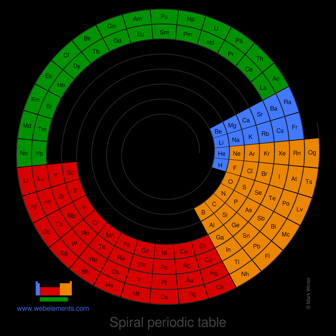 Circular forms of the periodic table do not quite demonstrate strict atomic number ordering. Perhaps spiral forms do this better. 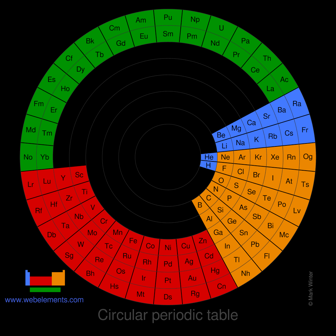 Circular form of the periodic table. Note that the standard form of the periodic table usually has hydrogen (H) located in Group 1 despite it being a gas while the other compounds are metals. The reason for this position for hydrogen is not chemical but electronic; hydrogen and all the Group 1 metals have the electronic configuration ns1 (n is the principal quantum number). Here both hydrogen (H) and helium (He) are coloured blue. Although located with all the other p-block elements, their valence electronic configurations of 1s1 and 1s2 are exclusively s electrons. Circular form of the periodic table. Note that the standard form of the periodic table usually has hydrogen (H) located in Group 1, as shown here, despite it being a gas while the other compounds are metals. The reason for this position for hydrogen is not chemical but electronic; hydrogen and all the Group 1 metals have the electronic configuration ns1 (n is the principal quantum number). Here helium (He) is coloured blue. Although located with all the other p-block elements, its valence electronic configuration of 1s2 contains exclusively s electrons. 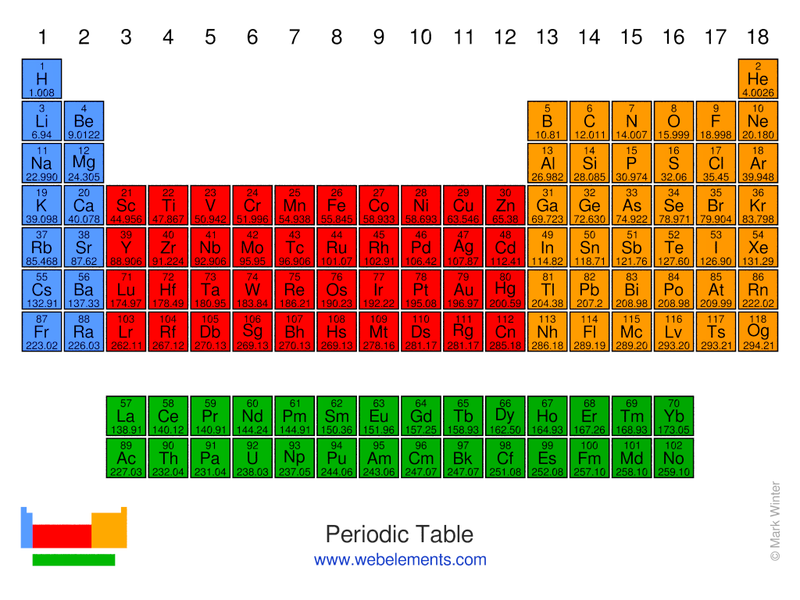 This form of the periodic table is attributed to Charles Janet La classification hélicoidale des éléments chimiques, Beauvais: November, 1928, (Table VIII-18, IX-19) but updated here to include recent element discoveries.